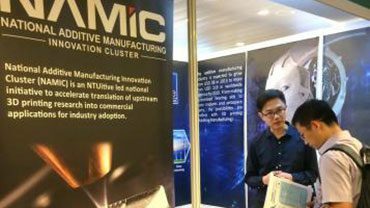 As companies in Singapore look to advanced manufacturing, 3D printing providers converged at an exhibition held by Inside 3D Printing Singapore at the Suntec Convention Centre on 14 and 15 February 2017. The event had 3D printers and services on display. NAMIC is among one of the exhibitors. The event also had an international lineup of speakers and exhibitors.